The great news for the international school sector is that the demand for qualified international education is becoming increasingly accessible to families in Asia. Many institutions are being celebrated for their Western-style teaching, student diversity and vibrant learning environments. To tackle the question of why international schools are so popular recently— especially in Ho Chi Minh City—we speak to Hai Le, Head of Marketing and Communications at International School Saigon Pearl (ISSP, www.issp.edu.vn) to examine the trend and to discuss the benefits that an international education will bring to students, which is not just their ability to pass exams. In fact, the trend has influenced regional plans for development. “In Ho Chi Minh City, the business and financial hub of Vietnam, a significant number of new bilingual and international schools are predicted to open as a result of the new regulations increase government quota on local students who can attend international schools in Vietnam. Additionally, the desire of the growing middle class to expose their children to an international environment, cultural awareness plus needs of Vietnamese families returning from spells abroad, is fueling a significant rise in provision of international education,” says Hai. 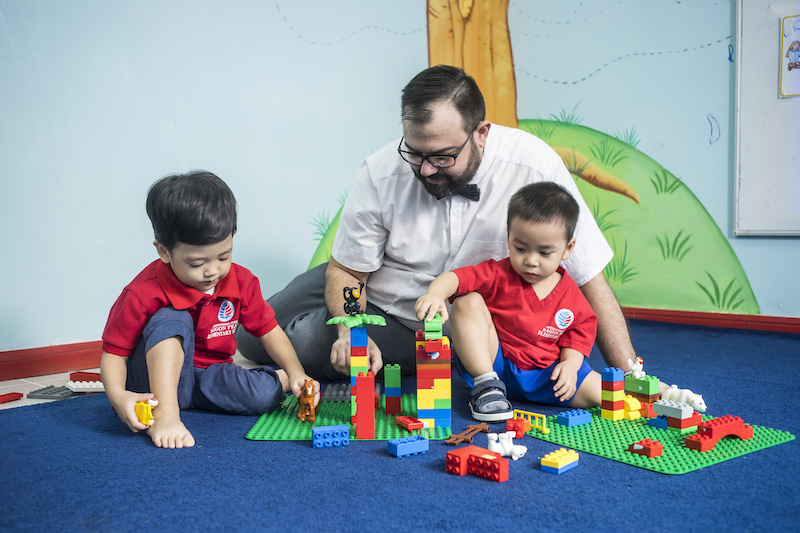 Another reason is, as the economy is growing fast, the increasing number of expats coming to Vietnam for long-term work promise higher demand for international schools. Many parents put a lot of thought and deliberation into choosing an international school for their children. After all, educational institutions often employ different teaching approaches and curriculum that influence each child’s lifelong learning. If you have felt overwhelmed about deciding between many schooling options, you’re not alone. In the course of searching for the most appropriate international school, there are three important factors parents should take into account, including the teacher quality, international curriculum and environment. International schools have to adhere to an international curriculum. This curriculum often incorporates an appreciation for other world cultures into the learning process. Parents should consider international schools that use a curriculum that is accepted around the world and is accredited by CIS (Council of International Schools) and NEASC (New England Association of Schools and Colleges). These are important factors, to be sure. But there is another, just as important, consideration that parents should be mindful of—that is the spirit of community fostered within the school. Although there is no government quota on local students who can enroll in ISSP, ISSP’s top priority is always to ensure availability for international students and to maintain a diverse student intake which reflects the international nature of the school. “We believe the best school is the school that is appropriate for your child, not only in terms of academic achievement, but also developing character,” says Hai. Sometimes, good test scores can be an indication that a school is doing a very good job of educating its students, but other times it can be an indication that the school is teaching to the test. Standardized tests only measure about a third of the curriculum that should be taught in the school, which means if the school is only teaching the test material, your child is missing out on a lot. Most international schools celebrate differences in culture and personality. Often, this appreciation for difference fosters an emotional maturity in children. Understanding that no two children are the same, every ISSP student is treated as a unique individual. With outstanding academic results, it’s clear that the school has succeeded in its personalized education approach. In addition to academic excellence, ISSP’s core values, honesty, care, respect, responsibility and wisdom, are integrated in the school’s culture, which means the lessons are not just limited to the classroom. As a result, students adopt the mindset of being lifelong learners and responsible global citizens. At ISSP, all students tend to work through various daily tasks and challenges to move themselves to the next level. Students even learn to live on their own, which often fosters a sense of independence. Children who learn to overcome the challenges presented in international schools usually gain confidence and maturity in the process. Beyond education in the classroom, participation in after- school activities is also an important aspect. 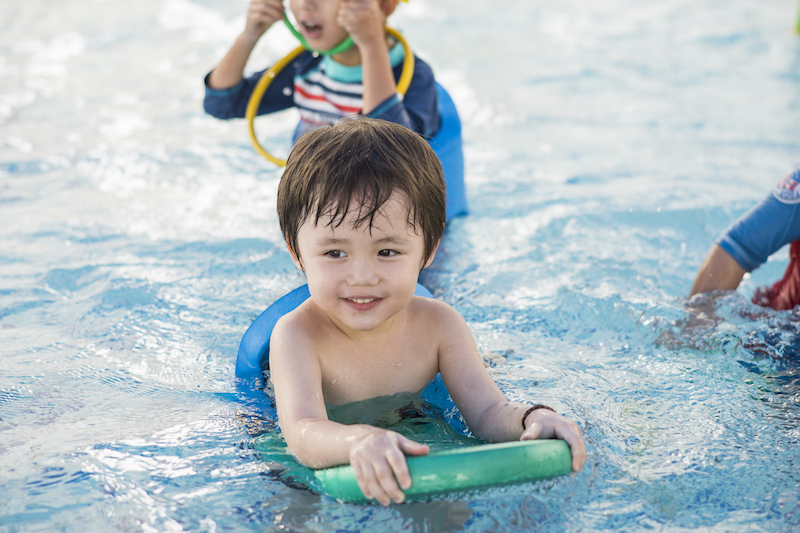 Designed to reinforce the international curriculum, the after- school activities provide a wonderful opportunity for our students to make new friends, have a playdate, explore their passions or simply enjoy a variety of age-appropriate activities that expand their learning. “But after- school activities do more than just provide creative or athletic outlets for students. Sports, arts, music, world languages and enrichment activities at ISSP benefit students academically, teach valuable life lessons and contribute their skills and knowledge to serve the community outside of school,” Hai adds.